I actually had the idea to make this tinsel ornament two years ago-I saw some beautiful tinsel at Hobby Lobby and bought it for this purpose but in the hustle and bustle of the holidays it got tucked away. 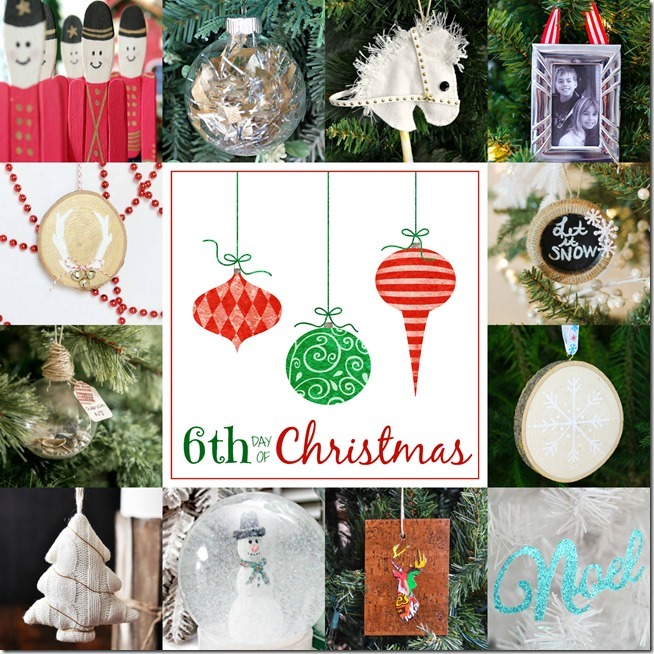 This year as I got ready for our 12 Days of Christmas Ornaments (can you believe we’re on Day 6 already?) I found that tinsel and was so excited to use it at last! 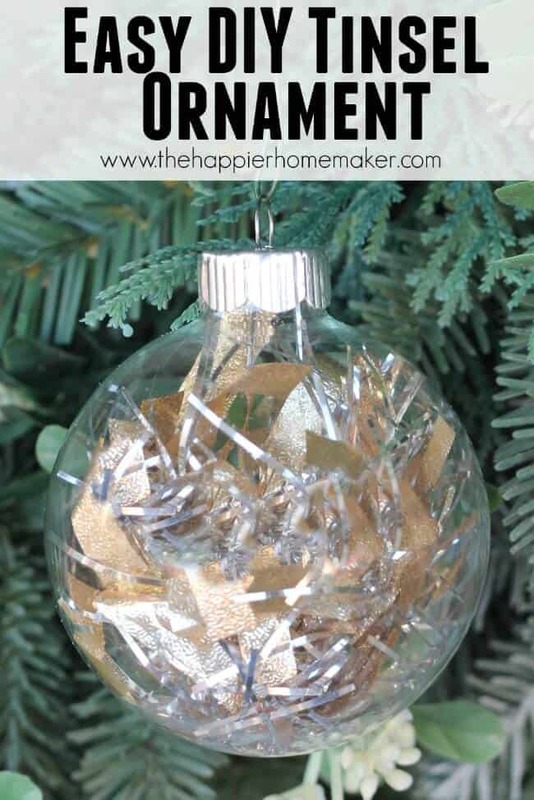 To make this ornament all you need is an empty glass ornament and about 2-3″ snipped from your favorite tinsel. carefully insert the tinsel to the ornament and then use a pencil or other thin object to move it around until it’s positioned how you want it. These are so easy and fast and would make great gifts for the holidays-plus you could create a wide variety of looks depending on the tinsel you use! Ready for more ideas? We’re up to 72 DIY ornament ideas so far! So simple and so elegant! Love! Fun and easy! Definitely my kind of project.